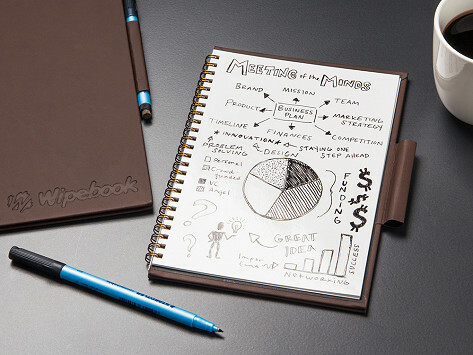 I am considering getting one of the larger sizes for taking notes at meetings. 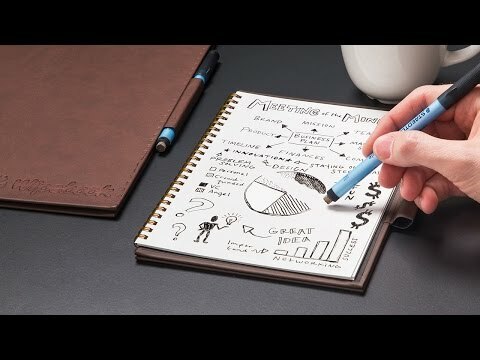 This reusable notebook comes in so handy when I am out and about. I really didn't need it but I wanted it. I am retired and it is all about me now. For me, it is so handy for taking notes and for shopping lists and other reminders. I keep this on my counter to jot down things I need to remember. Once they are done, I can erase it and start anew. I really like the size, will fit in my purse, if need be. I might get the middle size soon as this is pretty small, but so far I think it's great and really recommend it. No more little pieces of note paper hanging around. Bought two of these as gifts for friends. They both love it. Love my wipebook mini. I used to have post it notes as reminders for daily and weekly tasks and the ever growing "to do" list. Now I have collected my thoughts in one space and there is no paper waste. The mini is the perfect size to throw in my purse and there is no longer any need to search for my shopping or errand lists. So good that I started giving them as gifts. Easy to carry, easy to use, easy to clean, no paper notes to keep up with. I bought 2 of these for my son-in-law and my son. They are finding them helpful in meetings, and my son-in-law finds his helpful at church keeping the 5-year-old busy drawing!